Specially for sleepless nights - tired and stressed skin. 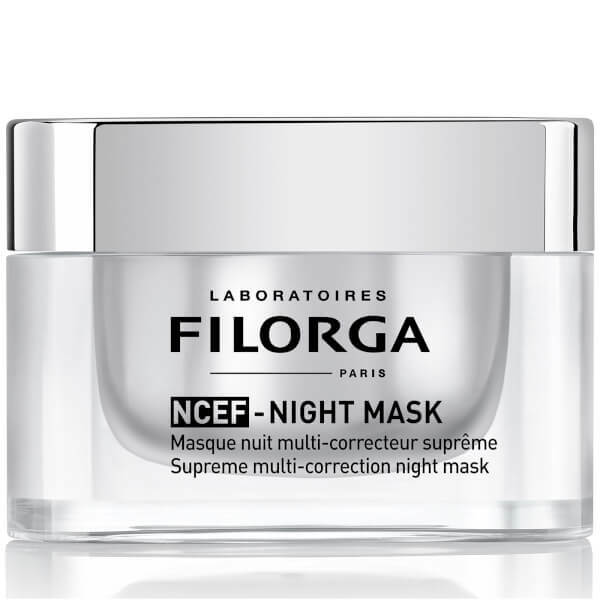 Intensive skin quality renewal [activated regeneration] – Formula incorporating NCEF, a unique polyrevitalisant complex developed by Laboratoires FILORGA with 50 ingredients incorporated for the first time in concentrations comparable to those used in a mesoinjection(1). Night-time skin recovery [wrinkles + firmness + radiance] – The Melatonin’CX®, a powerful skin reviving active ingredient, acts during the night to give rested features, while a [hyaluronic acid + collagen] booster plumps up the skin. A natural detoxifying ingredient simultaneously frees skin from oxidative stress and pollutants to give radiant skin upon waking. Result: Visibly younger skin upon waking. A radiant and rested complexion every morning. 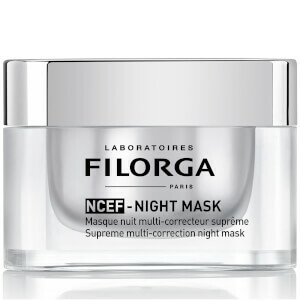 Quick-penetrating mask to use as a night cream - Radical effect. Apply a thin layer at night to completely cleansed skin, including the eye contour area and neck. The product is absorbed in a few minutes. Leave it on all night long to get all its benefits. Can be used every other day or every evening depending on the needs of your skin.